The primary route to good dental health is plaque removal and family dentistry. Plaque is the sticky, whitish film that builds up on teeth in the absence of effective oral hygiene. Decay-causing bacteria thrive in plaque, where they break down any sugar that lingers in the mouth. In the process, they produce acid byproducts that erode teeth. This is how a cavity begins. What are the most effective techniques for plaque removal and decay prevention? That depends on the age of your child. 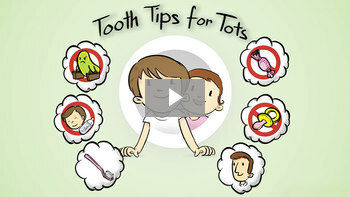 Make sure your child has his or her first family dental visit by age 1. There, you can learn proper hygiene techniques; have your youngster examined for signs of early decay; and get a recommendation for fluoride supplements if needed. For more information on Family Dentistry in the White Lake, MI area call David J. Campbell DDS at (248) 887-8387 today!